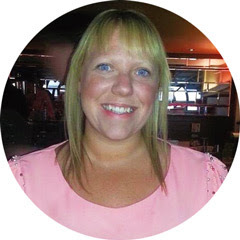 Every now and again I post my moments of the week,inspired by Mary Lane, and since I've spent this week in Hong Kong I thought it would be the perfect opportunity to share some of my favourite things from our trip. Taking the tram up to Victoria Peak is an experience in itself, but the views from the top are abslutely breathtaking. It was definitely a highlight of the trip for me. We didn't get to experience sunset from there as we were short on time and wanted to fit as much as possible in, but I'm so glad we experienced the views. 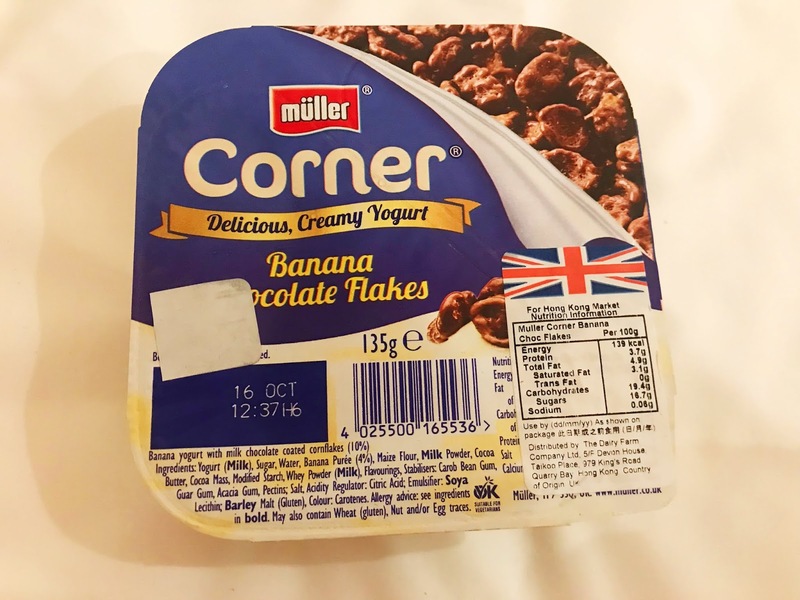 I have always been a fan of Muller Corner yoghurts and I can't get them in Beijing. We were trying to make healthy food choices in Beijing so we bought food from a supermarket when we could and I could have literally screamed when I saw them on the shelf. I wish I could have packed a whole load of them to bring back to Beijing. I've been to Hong Kong a few times but have never explored Stanley or Repulse Bay. I am so so glad we fitted it into our trip this time as it was hands down one of my favourite things that we did. The drive along the coast was fantastic, with incredible views of the water surrounded by giant buildings. I just love both Stanley and Repulse Bay. They both has such a chilled out vibe and incredible views. 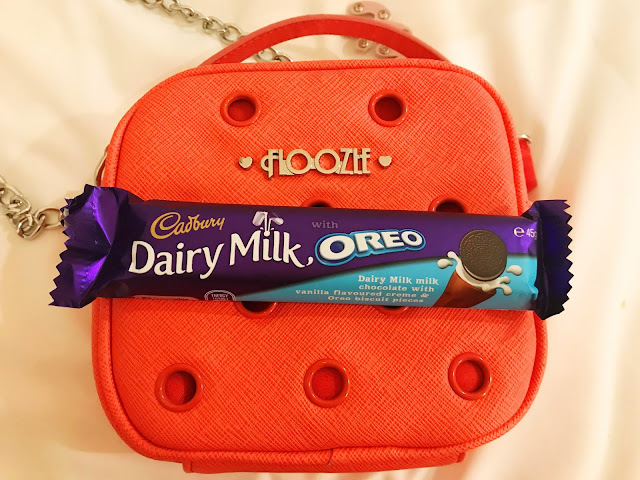 Every Saturday I allow myself a bar of Dairy Milk and I was not about to miss out just because I was in Hong Kong so I bought an Orea flavoured Daily Milk. Oh my goodness, they were incredible! A mix of chocolate, cream and cookies - the perfect combination! I love Disneyland, even when I'm old I think I'll still be the biggest fan. 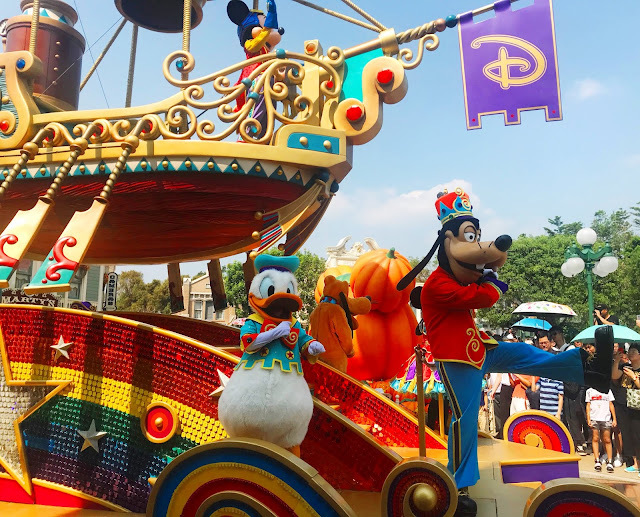 In particular, I love watching the parades. They literally transport me back to being 5 years old and make me feel all happy inside. Macao wasn't on my list of places to visit and I really wasn't particularly fussed about going, but I was suprised by how much of a great day I had there. I'm not sure what I was expecting, but the Portugeuse buildings and old town was not it. It was such a unique experience. What were your favourite moments of the week? It’s such a unique and bizarre city! Never quite sure what you will find around each corner. I love that about it! We did have a fab time, thanks! Hong Kong is somewhere I've always wanted to visit. It looks like you had a great time - yay for your yoghurts and Oreo Dairy milk - they're SO good! The view from Victoria Peak looks stunning! Hong Kong is an awesome city - you never quite know what you're going to see!